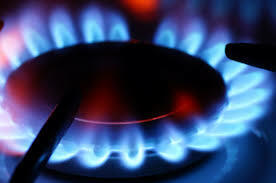 What are the Cheapest Options For Switching Both Gas and Electricity Providers in Ireland ? Our latest Electricity and Gas Price comparison shows that, for average usage households , switching energy supplier could save €411 in just one year. Hundreds of thousands of people in Ireland have never switched energy providers. Recent figures show that around half of all electricity and gas customers have never switched supplier. Of those that have switched to get a cheaper deal – 51% have just gone back on the default standard rates after the discounted rate ended. Note: The price comparisons below are based on what might be typical usage in a medium sized house, using gas for both heating and hot water. ( 11000 Kwh of Gas and 4200 kwH of Electricity a year .) The prices shown include any cashback offers. We have assumed that the household is currently on the standard rate of Electricity with Electric Ireland and on the standard rates for gas with Bord Gais Energy. The total charge for both fuels for such a household would be €1881 over the next 12 months . The current best price for switching both fuels to one supplier is available on the Energia website using the promo code CHEAPESTDUAL . 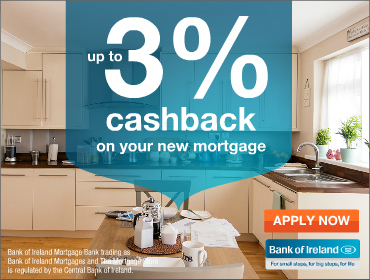 You will get €50 cashback and 35% off their standard electricity rates and 34% off their gas rates for a year. This deal will work out at €1470 in year one. (including the €50 cashback). A saving of €411 in just one year (You won’t get this deal with Bonkers or Switcher.) . If you are already with Energia – then the best value switching deal for a dual fuel bundle is from Electric Ireland . Their offer with the €200 cashback offer included works out at €1537 over the first year . TIP: You can switch back to Energia as soon as you get the €200 cashback from Electric Ireland . You will need to pay a €100 exit fee – but you will still be €100 up. Many thousands of people in Ireland have never switched electricity provider – (about 36% of all households) . By switching to the cheapest electricty provider, those households could save ,on average , €206 in just 12 months on electricity bills. Electric Ireland (formerly ESB) used to be the only domestic Electricity Provider in Ireland – but since deregulation in 2011 , thousands of households have switched to other suppliers such as Energia , SSE Airtricity or Bord Gais Energy in order to get cheaper electricity prices. The electricity switching market is very competitive, with companies regularly doing special offers, discount codes or other promotions such as cashback. Who has the Best Electricity Deal in Ireland in April 2019 ? Electricity usage will be higher in larger homes with 4 or more occupants – and also in smaller households that use only electricity for heating and hot water. Electricity consumption figures of 6000 kwH per year would be possible for higher usage households . The best switching deal for higher usage homes is with Energia . They have a special offer only available through the Energia website. You need to enter the promo code CHEAPESTELEC and this will get you 36% off their standard electricity rates for 12 months. This will work out at €1100 in the first year. (Paying by Direct Debit). This is a saving of €299 compared to Electric Ireland’s standard rates (Non DD) . The next best deal for 6000 kWh usage is from BE Energy at €1141. The best deal currently would be to switch your electricity to Energia . This offer works out at €838 ( with a 1 year 36% discount) and is only available online with Promo code CHEAPESTELEC at the Energia Website. This is a saving of €206 on Electric Ireland’s standard rates. Smaller households will use less electricity. Typical usage for a 1 or 2 person household that doesn’t use electricity for heating might be 3000kwh per year. If you are not currently with Electric Ireland for your Electricity supply – then the best deal for lower usage households would be to use Switcher.ie to switch to Electric Ireland and go for their €150 cashback offer . This will work out as a year one price of €625 for 3000kwh. The next best deal is to switch to Energia . This will work out at €665 in year one . (This Offer of 36% discount is only available online with Promo code CHEAPESTELEC through the Energia Website. Bord Gais Energy will work out at €700 in year one. In all cases – after the first 12 months , households should look into switching again to obtain the best deal. Cashback offers are not included in comparison sites calculations – but we include them. So don’t assume the cheapest deal shown on the comparison sites are actually the best available. Cashback offers can often make a very big difference to the overall cost- especially for lower usage households. You should really think about switching your energy supplier every 12 months to take advantage of all these special offers – otherwise most providers will just put you back on their standard rates after the first year. It only takes a few minutes – and as we have shown it can easily save you in the region of €250 just on electricty bills over a year. Applications for School Transport for new pupils starting Primary or Post Primary school in Aug/Sept 2019 opened on Monday, 4th March 2019 . Only pupils starting school will need to apply ;- existing pupils who currently hold tickets will be contacted about payments in July 2019 . The closing date for applications for new school bus tickets for the school year 2019/20 is Friday, 26th April 2019. Late applications will be accepted but will not be guaranteed a seat. The full amount due can be paid on or before the 26th July 2019 in which case an Annual Ticket for the full school year will be issued . OR half of the amount due can be paid by the 26th July 2019 and a ticket valid for travel up to 20th December 2019 will be issued. The balance (50%) must then be paid by 22nd November 2019. A further ticket, valid for travel up to the end of the school year will then be issued. If it is not possible to make payment online, cheques/money orders should be made payable to Bus Éireann and posted to your local Bus Éireann School Transport Office. For secondary school pupils the charge is €350 per pupil or 2 payments of €175. (Max per family of €650) . For primary school buses the fare is €100 per pupil or 2 payments of €50 (Max per family of €220). There is an exemption for Medical Card holders. To pay for Bus Eireann School Bus Tickets online you need to have your Bus Eireann family ID and PIN; You can pay by VISA or MasterCard . You can also enter the details of Medical Cards, if applicable. A medical card acts as a waiver to fees for the school transport. 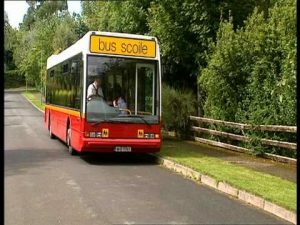 You can apply online for your Bus Eireann school bus pass here. A survey of fixed broadband usage in Ireland by COMREG published in 2018, found that the average spend on a landline and broadband bundle in 2017 was €59 a month ( €708 a year) . Comreg also found that over 26% of households were spending more than €71 a month on phone and broadband bundles. (That is €852 a year) . There are substantial savings to be made by switching to a cheaper broadband provider. Someone paying the average price of €708 a year could save as much as €288 in 12 months by switching their broadband and landline to the cheapest provider (cost €420). The 26% of people in Ireland who are paying at least €852 a year could save €432 in 12 months by switching. We have compared the prices of some broadband packages to help you find the Cheapest Broadband Deals in Ireland. unlimited anytime phone calls to landlines . Speeds of “upto” 100Mb (actual speed will depend on your phone line in most cases). Any caps on “unlimited” data are shown below. These deals are usually only available for new customers and may not be available in all areas of the country. 3. Sky have a broadband and phone bundle (TV subscription not required) – with speeds of upto 100mb , unlimited downloads and free anytime calls to Irish landlines and several international destinations. It costs €62.50 a month with the first 12 months at €42.50 (works out at €560 in year one including equipment charges). 4. Eir – currently have a phone and broadband bundle working out at €579.75 in year one . With unlimited downloads (Fair usage cap of 1000Gb ) and free anytime calls to Irish landlines and mobiles. Note:All above bundles include anytime landline calls. There may be cheaper bundles with off peak calls – but we have limited our comparison for now to those with anytime calls.